Book your 2 hour break through session now to make a real difference to your life. You will feel lighter and unburdened with tools and techniques to help you overcome your cocaine habit. If you are unsure in any way, please spend some time on this website watching and listening to the many video testimonials from clients who once felt like you do now. Anyone can write convincing testimonials but you cannot fake real people. They all have their own unique story /experience to tell. Please note 99% of clients would NOT want to go on camera, but we are immensely grateful for those that do as they show what we do is so different to what is out there. It’s affordable and very effective for long term success. You will also receive My Stop Cocaine Abuse download with 3 bonus tracks. This is a full two hour session in which we will aim to get your urges from 90% to 20% or less. We start to re-wire your brain both consciously and unconsciously to feel ambivalent towards cocaine. We help you to you feel that you can enjoy your life without obsession and urges taking you down a path you no longer wish to go. This is for a double break through session that you will get some additional downloads when you have your first session. You are welcome to bring a friend or relative with you to your first session as they will hear things you may not and they can be a great support in-between sessions. Debbie uses a unique process of NLP and hypnosis/hypnotherapy that she has developed over the last 20 years. The last part of the session she will record on your mobile device a short hypnosis trance bespoke to you including what we have worked on in the session. We always recommend the double plus two single follow up sessions to do a thorough job. This is where we get the greatest success. Hope your well, let me start by saying sorry haven’t been in touch but this is what happened after our sitting. What Happens In A Cocaine Treatment Session. 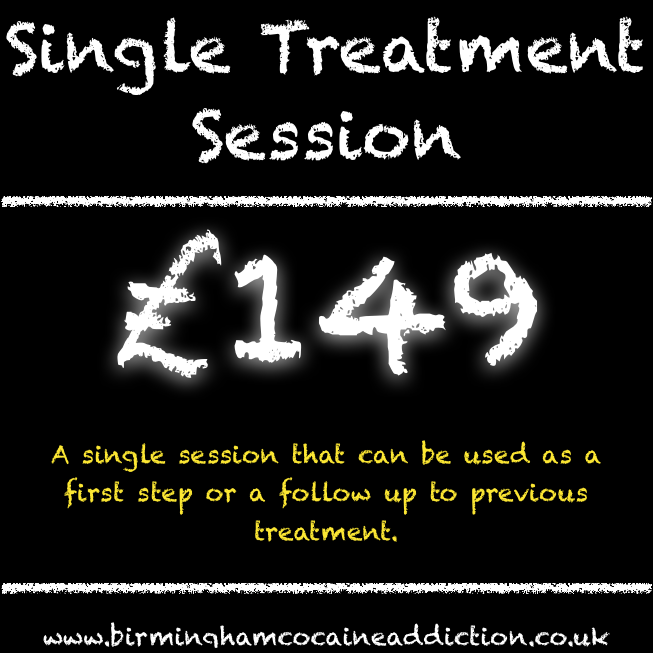 Debbie Williams explains what is likely to happen in a session at her Birmingham Cocaine Addiction Clinic. See also the video on the cocaine home page. We measure the changes within sessions, obviously when you go into the real world they may go up a bit, but you will be equipped with tools and techniques to deal with them. You will also have your own hypnosis recordings made bespoke for you. 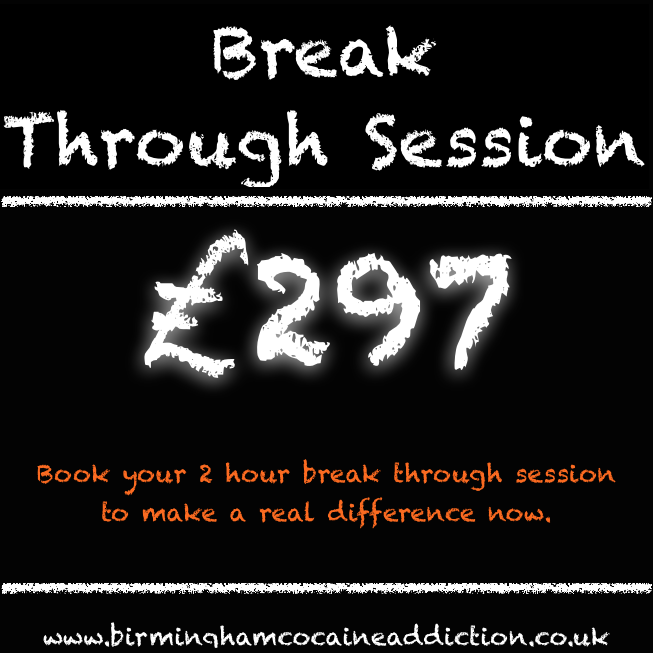 Be the first to review “Book a Double Break Through Session” Click here to cancel reply.